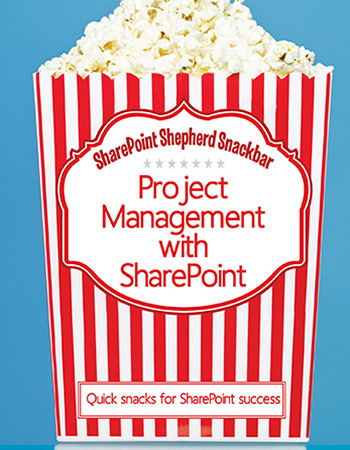 Why Is SharePoint not facilitating Project Management in your organization like you thought it would? SharePoint has been successful in other areas of your organization. It is has increased productivity, simplified tasks, and helped end users to be more effective and self-sufficient. Then why is it not clearly helping with the Project Management area? In this DVD Series we will take SharePoint and make it useful in Project Management for your organization. We will cover many tips and tricks for the End User to be more successful in their Project Management abilities. We want you and your teammates to feel even more successful with SharePoint to produce the desired results of productivity and collaboration that will improve the company’s bottom line. How do you keep track of the miscellaneous tasks that a successful project manager has to keep track of and manage through completion of a project? SharePoint can be used as a tool to manage the details of a project. We will show you how SharePoint can be a platform for managing issues, risks, and other details for a project. Follow Robert Bogue in this video and learn from his sharing of stories and techniques to reignite your SharePoint success with Project Management in ways you might have overlooked.